Unesco warned last year that the World Heritage Site could be listed as 'in danger if there was no progress by 1 February. The Australian government pledged to stop coal port or shipping developments that would cause damage to the Great Barrier Reef as it responded to a Friday deadline amid UN warnings that the reef's conservation status could be downgraded. Unesco warned last year that the World Heritage Site could be listed as "in danger" if there was no evidence of progress by1 February on protecting the reef from threats that also include climate change and the predatory crown-of-thorns starfish, which is wearing away the world's largest living structure. "The Great Barrier Reef is an iconic Australian environmental asset, the government is absolutely committed to the protection of the reef and our oceans," said federal environment minister Tony Burke as he released the country's report to Unesco. "We will not cut corners or give an inch on protecting it." Heralded as one of the seven natural wonders of the world, the 2,000 km (1,200 mile) Great Barrier Reef is home to 400 types of coral, 240 species of birds and 1,500 species of fish. It is worth AU$6bn a year in tourism to the local economy. But coal is one of Australia's top export earners and the state of Queensland is the country's largest coal producer. The reef faces growing threats from shipping driven by coal project expansions. "The World Heritage Committee can be assured that no new port developments or associated port infrastructure have been approved outside existing long-established major port areas since the committee made this recommendation," the government's report said. "A project will only be approved by the Australian government environment minister if the residual impacts on protected matters, including 'outstanding universal value', are determined to be not unacceptable." The Australian government has already invested A$200m in its Reef Rescue programme and said on Friday it would provide an additional $800,000 to fight the crown-of-thorns starfish, which prey on the reef and have multiplied amid nutrient rich flood waters in the past few years. Most of the extra funding will be used to employ a second boat to remove the starfish from "high-value tourism reefs" identified as under threat, with the remainder going to the Australian Institute of Marine Science (AIMS) to investigate a long-term solution. A recent study by AIMS researchers found that the pace of coral loss on the reef has increased since 2006 and if the trend continues, coral cover could halve again by 2022, with the southern and central areas most affected. Globally, reefs are being assailed by myriad threats, particularly rising sea temperatures, but the threat to the Great Barrier Reef is even more pronounced, the AIMS study found. 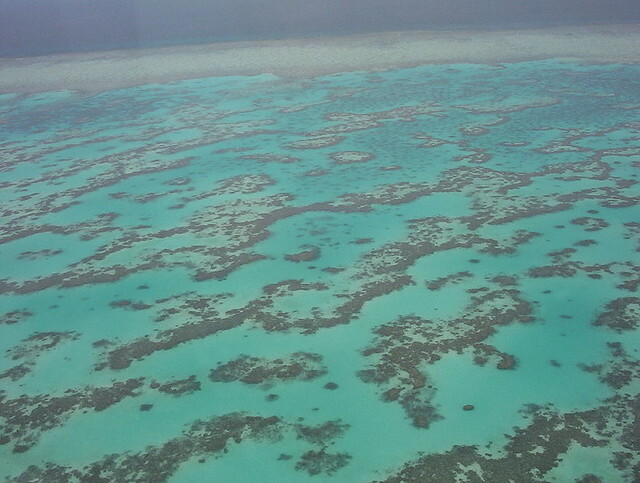 The government said in its report it believed the reef has the "capacity to recover if the right conditions are in place." Green groups, who are hoping place the reef on the political agenda this year amid campaigning for a federal election in September, said the report does not go far enough. "The sheer size and speed of port and associated development along the reef coast is unprecedented, said Robert Leck, the campaign director of the World Wildlife Fund. "There's more dredging, more ships and more turtles and coral dying."